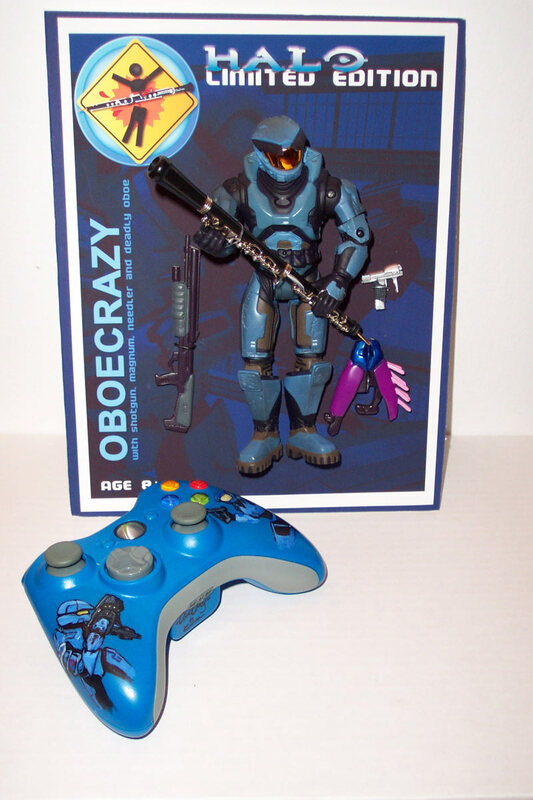 AsI am sort of into Halo Action Figures, and my good friend Lauren aka “OboeCrazy” is a Halo enthusiast (and a FAR better player than I), it seemed only natural that I would make and give her her own custom action figure and controller. This entry was posted on Tuesday, December 25th, 2007 at 1:14 am and is filed under News. You can follow any responses to this entry through the RSS 2.0 feed. Both comments and pings are currently closed.